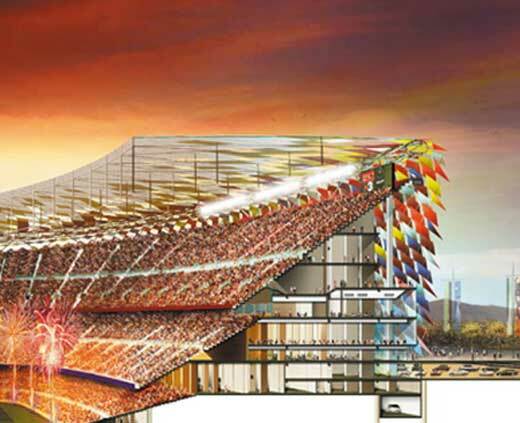 As mentioned by dezeen.com, the new design of Camp Nou stadium has been unveiled by FC Barcelona, and the design has been made by Foster + Partners. 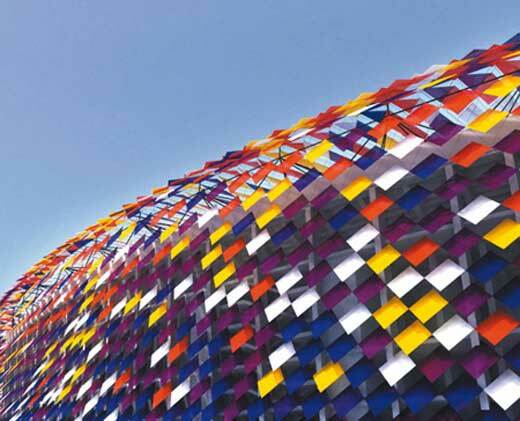 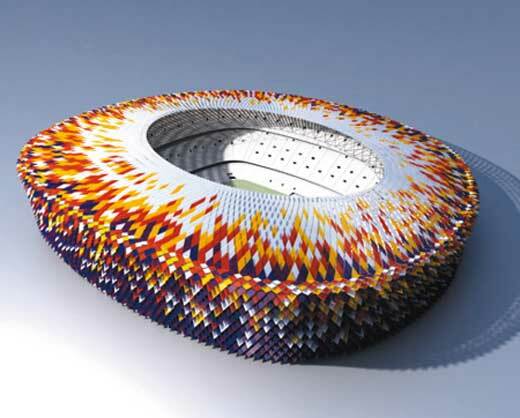 The new stadium will has 10,000 more seats and interestingly decorated with multi-colored tiles (see pictures). 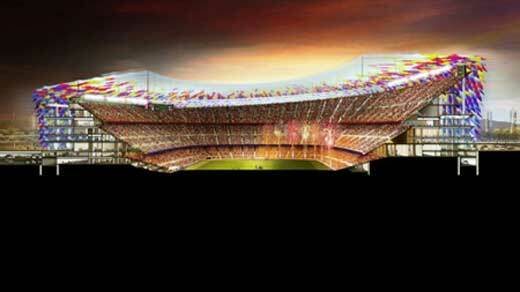 Just like the Allianz Arena stadium, the exterior facade of Camp Nou stadium will change itself between day and night as well as between non-match days and match days, thank to the use of Animated Lighting Effect.